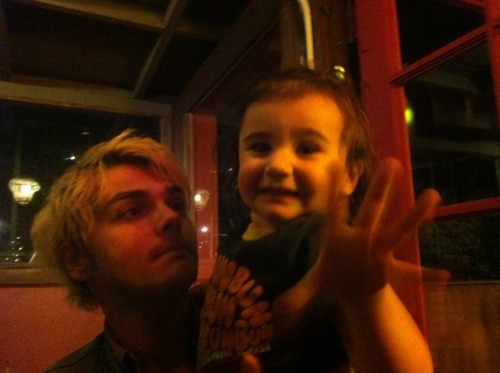 Gerard way's daughter:Bandit~!. SHE IS SOO CUTE OMG geesproud look to her omg >__<. Wallpaper and background images in the My Chemical Romance club tagged: my chemical romance gerard way official bandit daughter cute soo big 2012.